It should be known this book was assigned for a class.....That being said it took me quite a while to get through it. 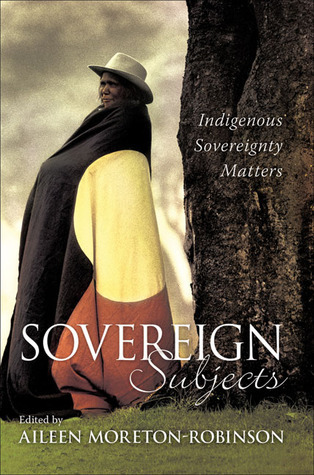 A collection of essays on Australian indigenous rights; it's truly hit or miss. A great deal are dense, and not the good cuddly dense. It's the quicksand dense. I had trouble wading through it and I set it aside to pick up other things quite often. Here's a summary of what you'll learn: the indigenous Australians struggle for rights is still going on and things don't look good. With all the bashing on various "academics" I just wish the various authors could have written in a style that would be easier to grasp for the general public. In the end it seems hypocritical to talk about the failures of a system while perpetuating one of the main failures of the academic system.... the failure to create product even remotely accessible to the common man (indigenous or not). I give three stars. This is because I learned a great deal from it, regardless of my experience while learning. It doesn't receive any higher of a review because of the reasons mentioned above.